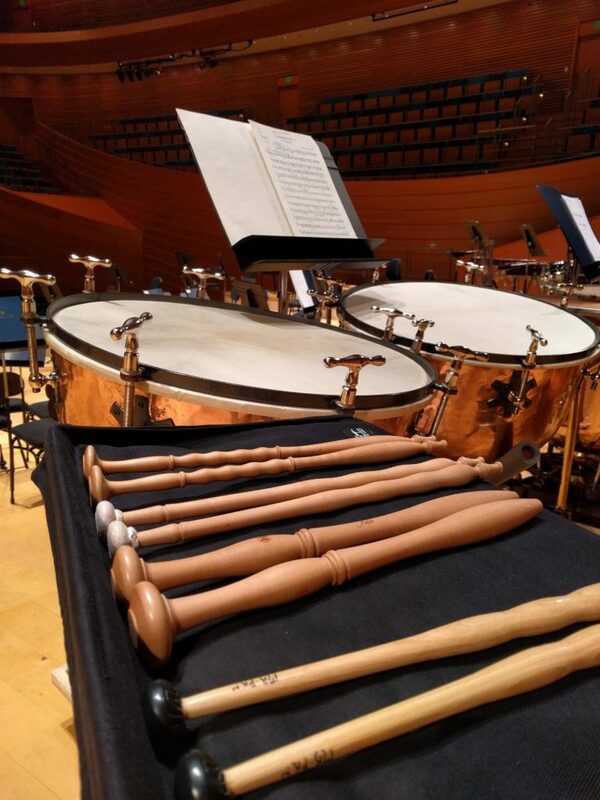 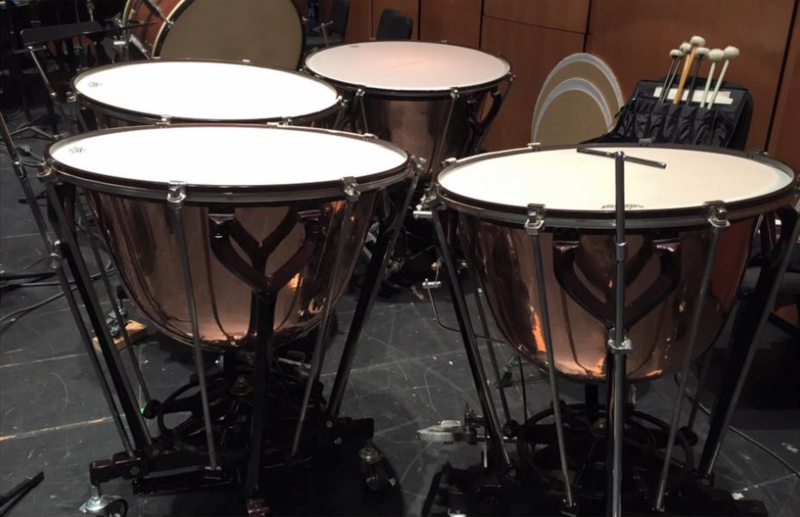 Dean Borghesani at the Milwaukee Symphony showing off his rebuilt Ringers. 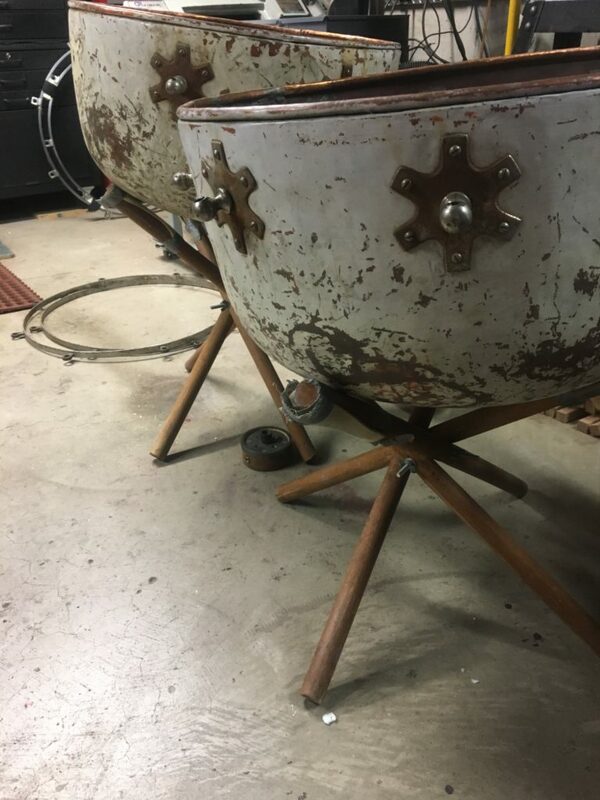 This set sports a custom paint job. 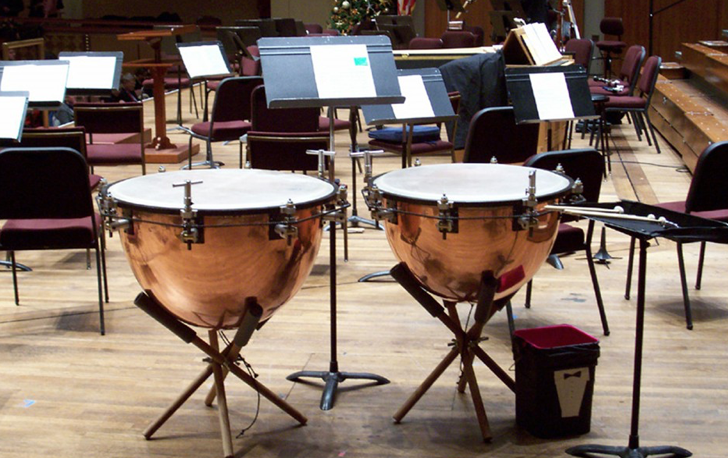 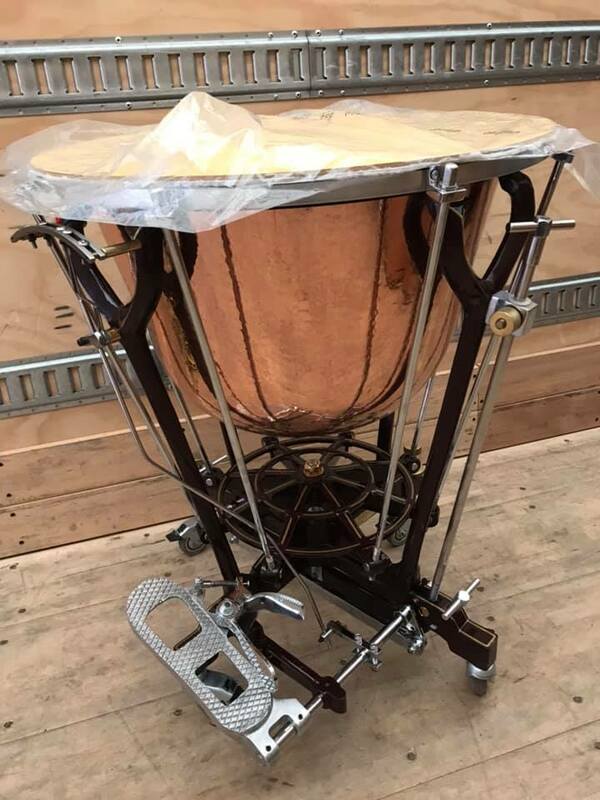 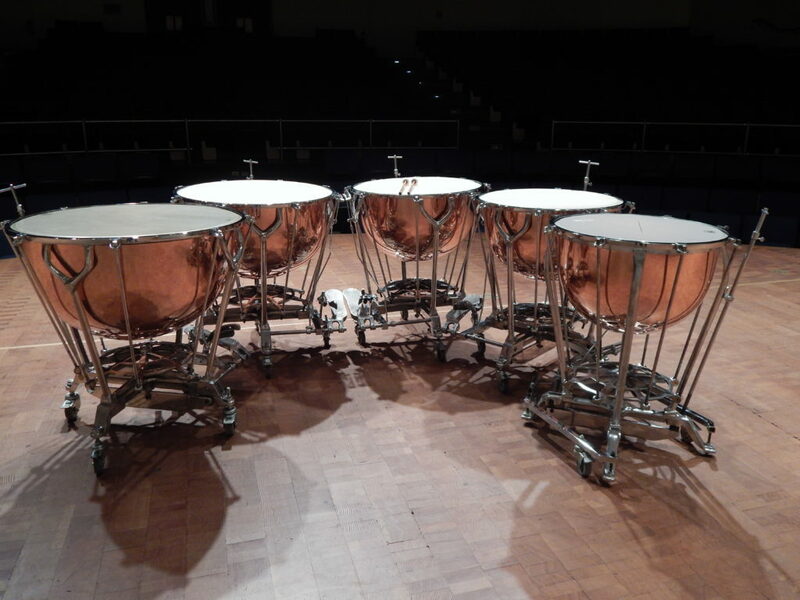 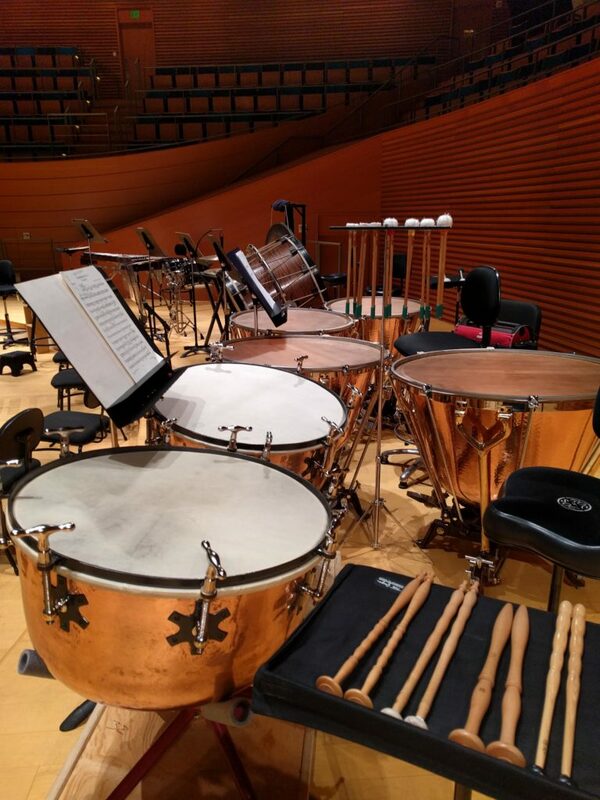 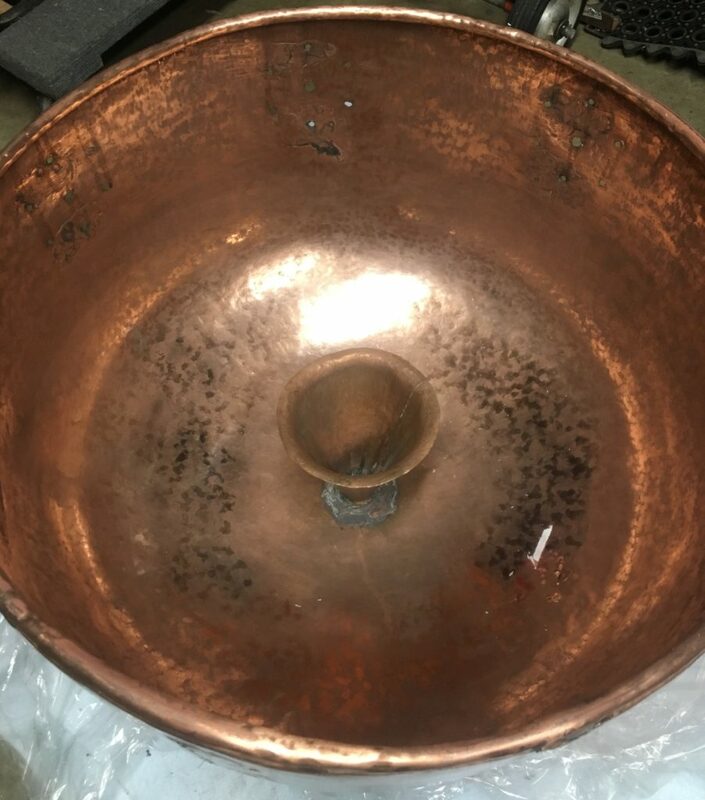 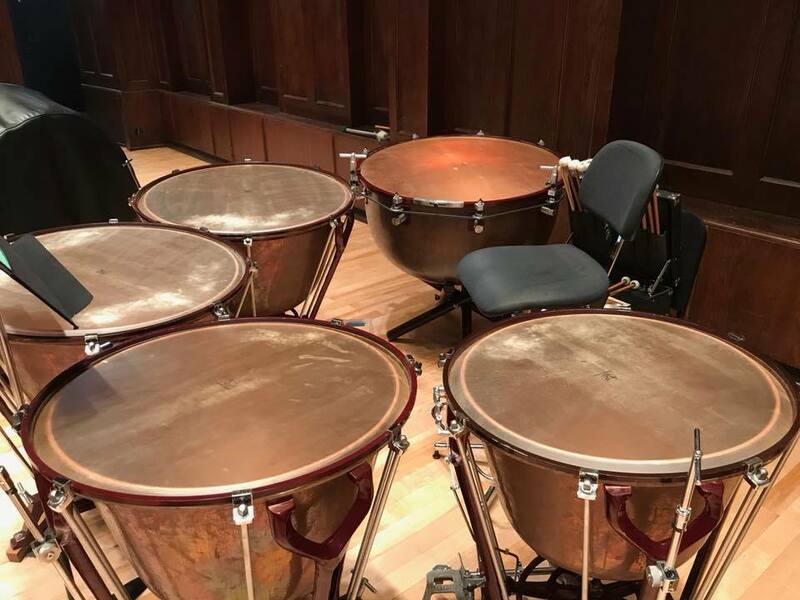 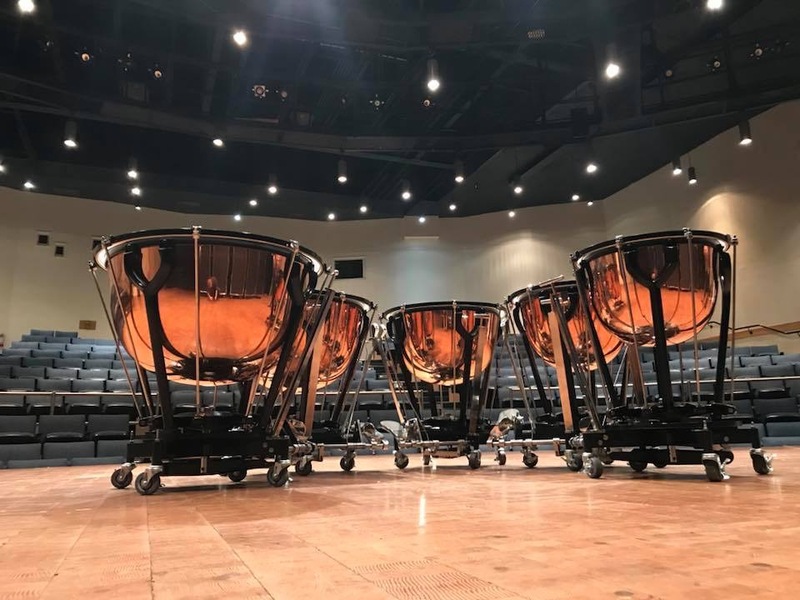 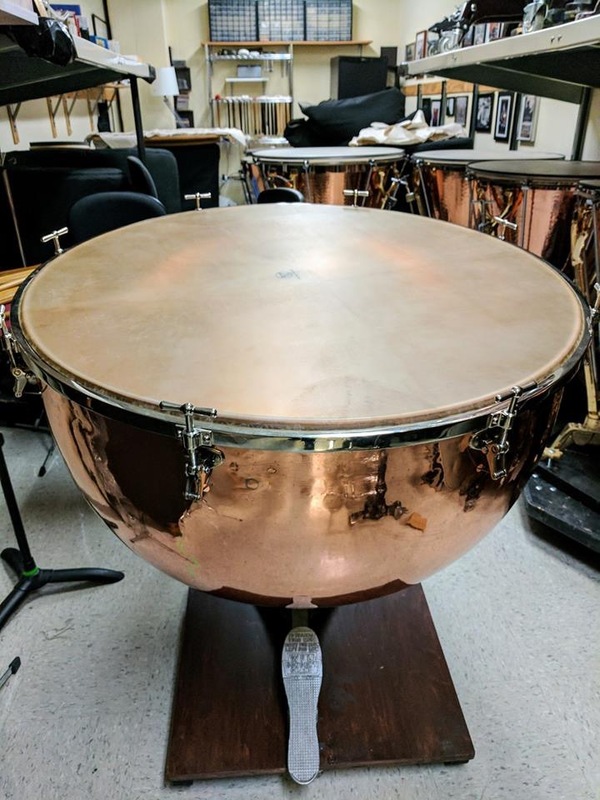 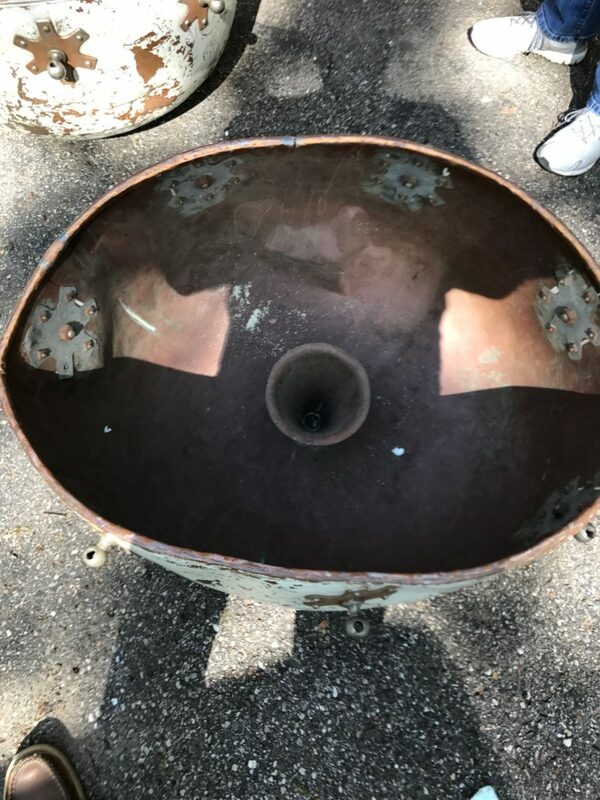 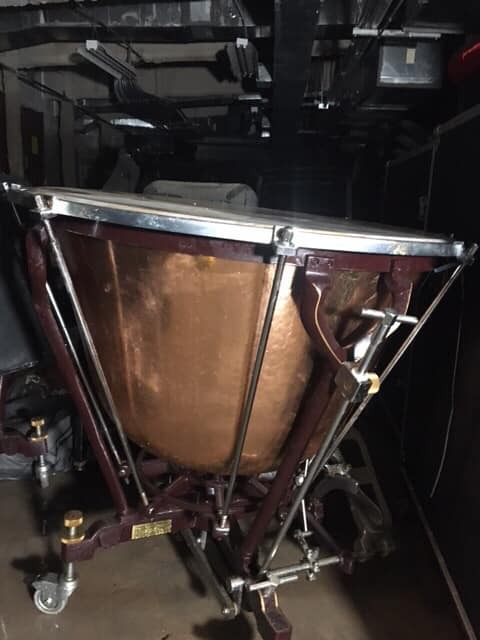 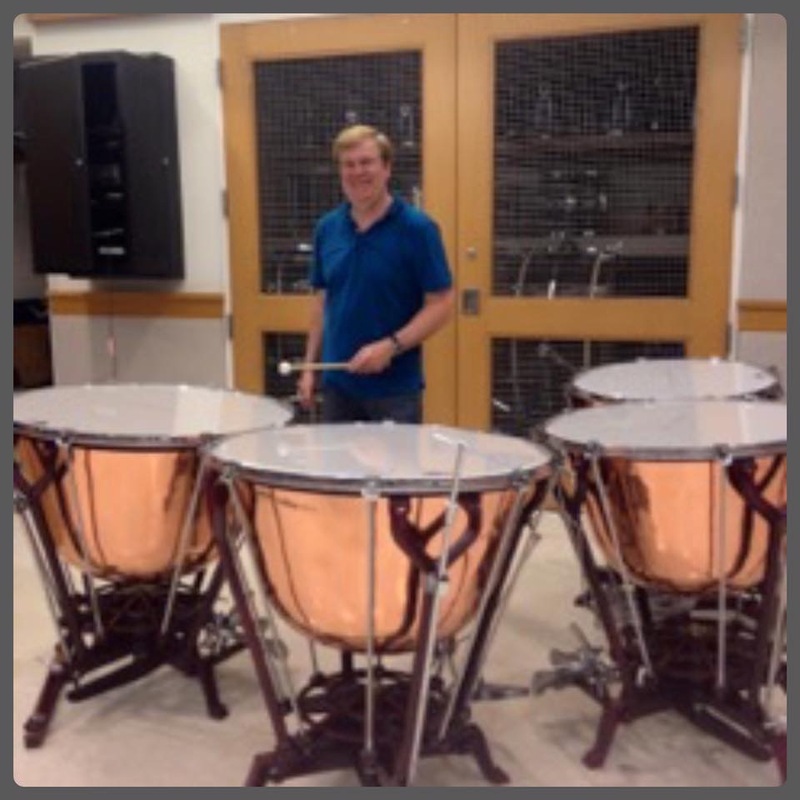 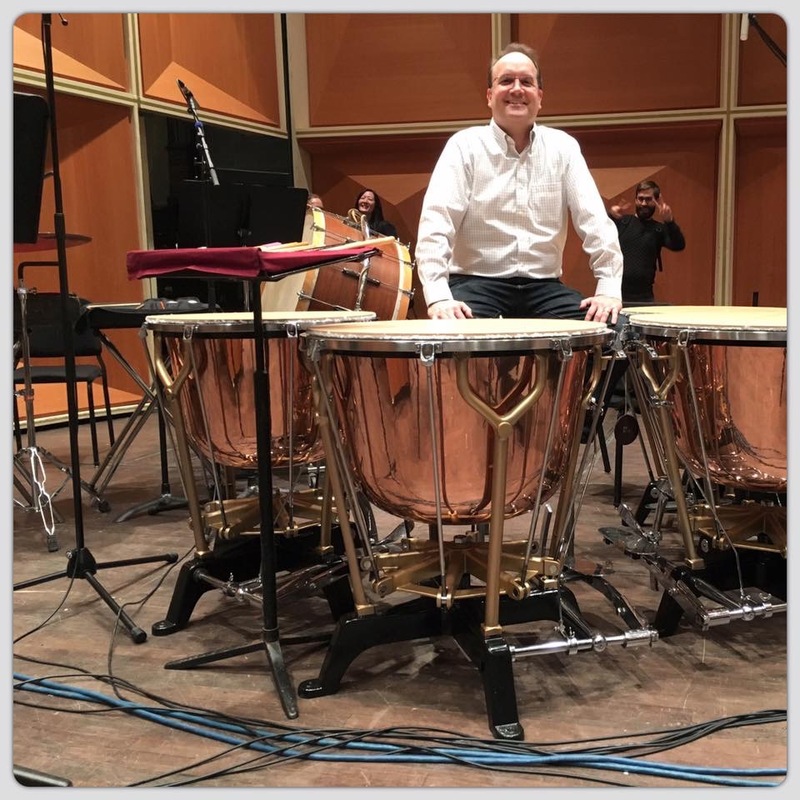 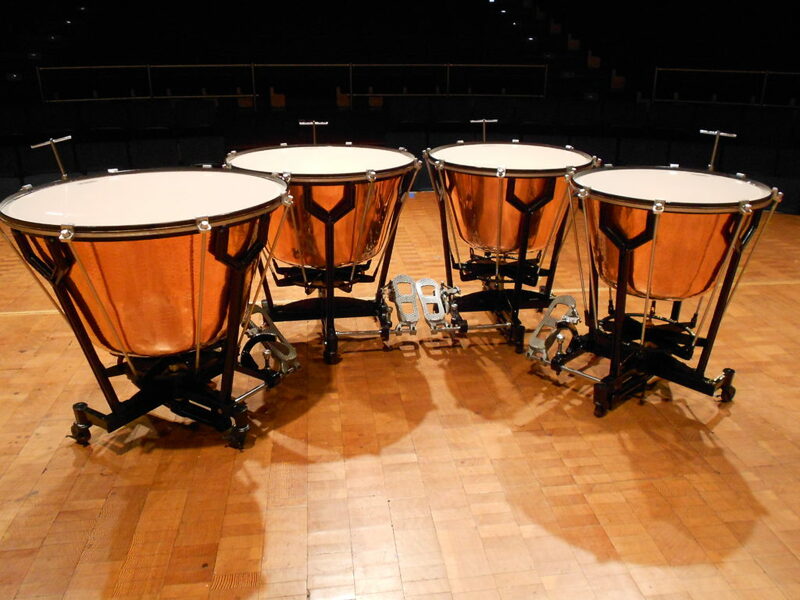 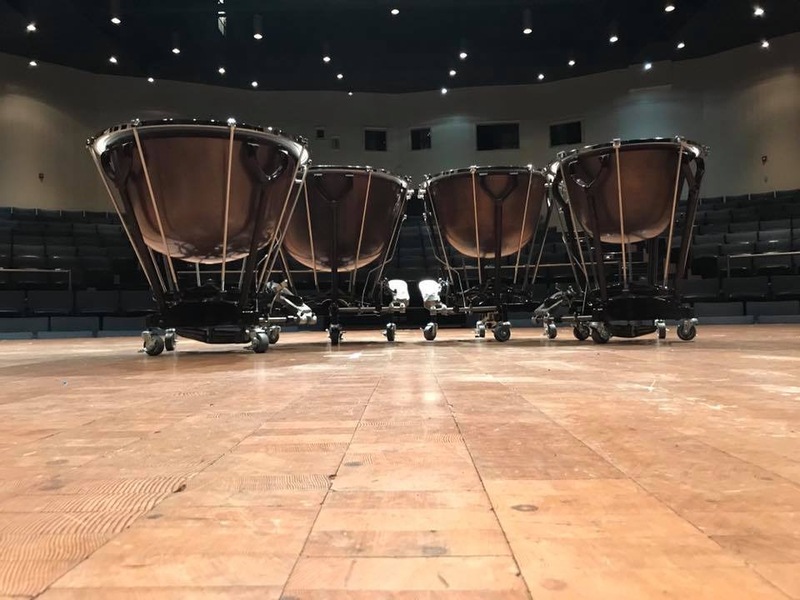 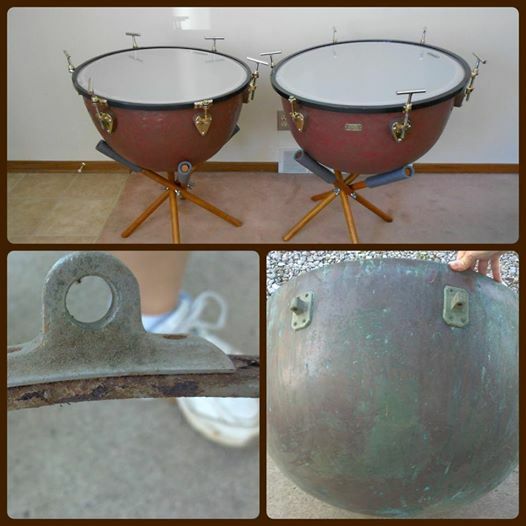 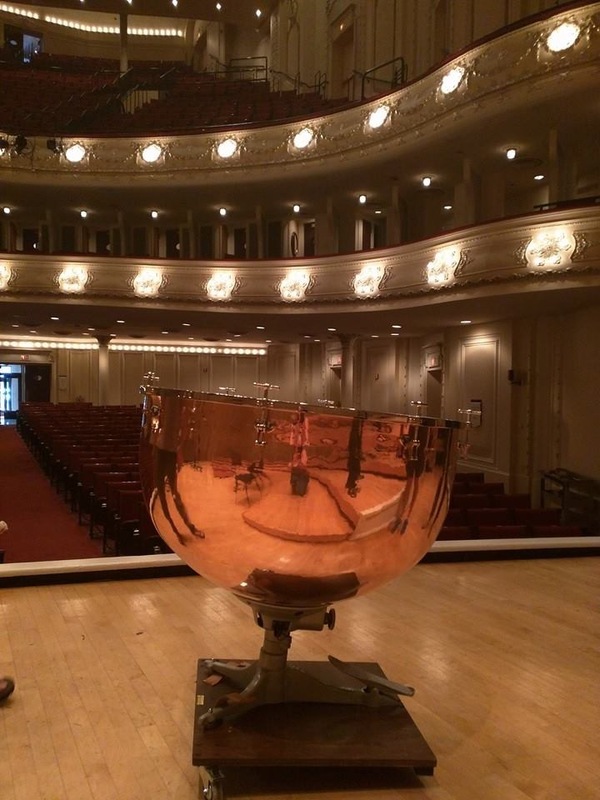 A set of restored Walter Light timpani for Jeremy Epp at the Detroit Symphony Orchestra. 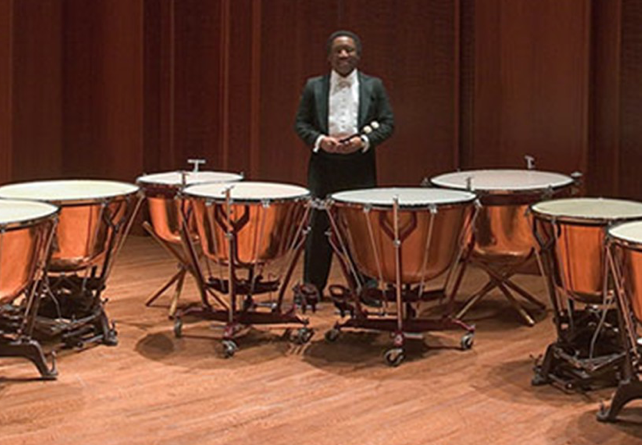 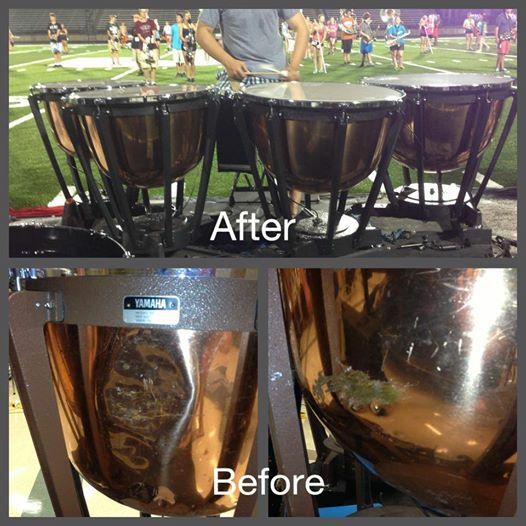 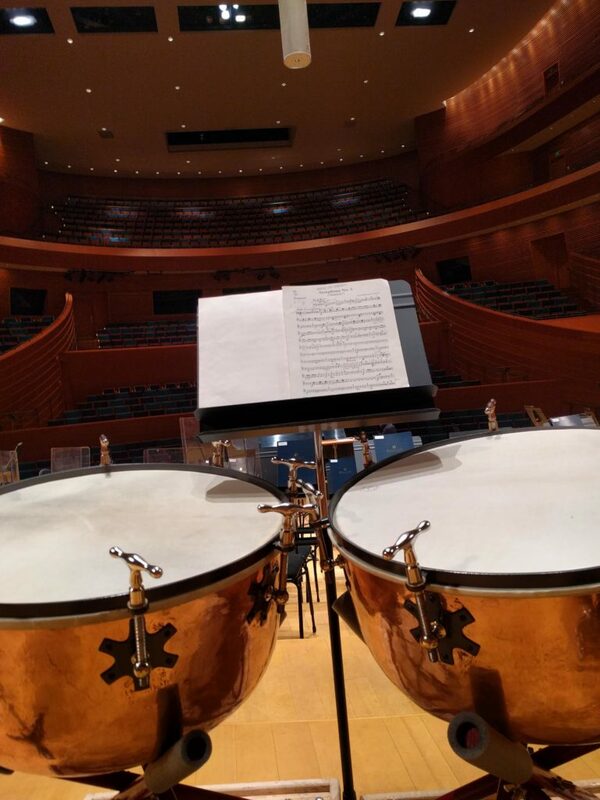 In the background a 35″ PCT Chain Timpani customized with matching paint jobs. 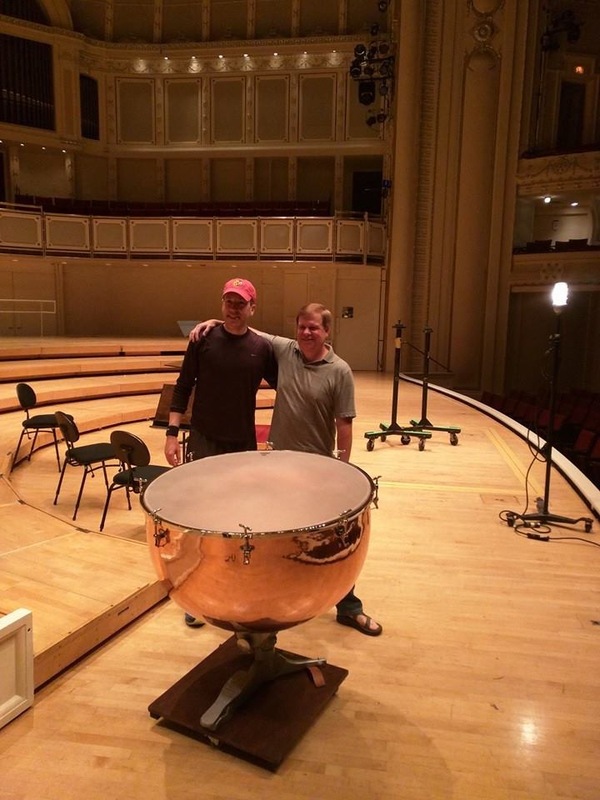 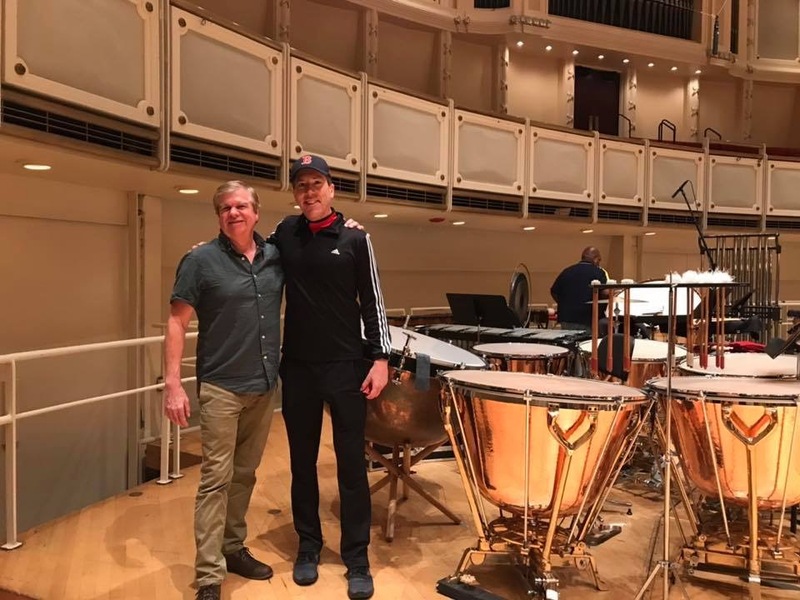 Mark Guthrie and David Herbert pictured after delivering an American/German conversion on rare brass framed Mark XIV Walter Light Timpani. 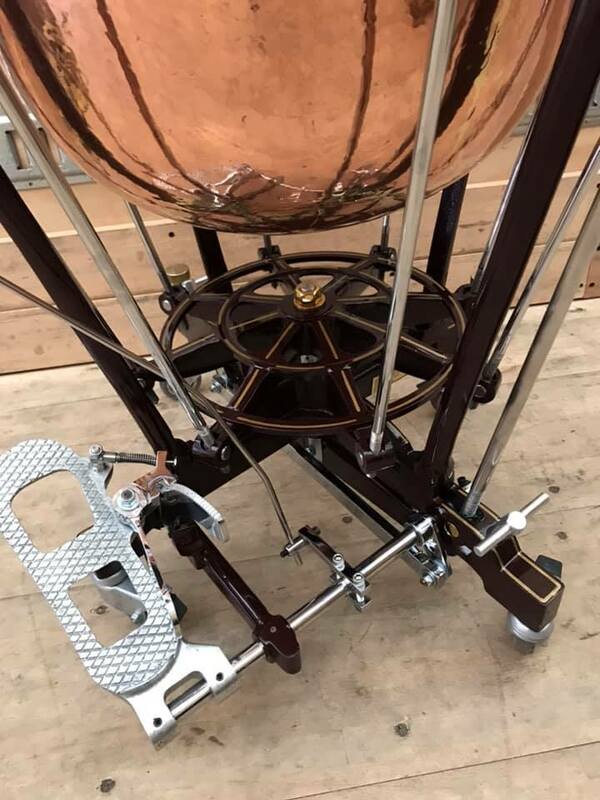 Anheier Cable partial conversion to chain. 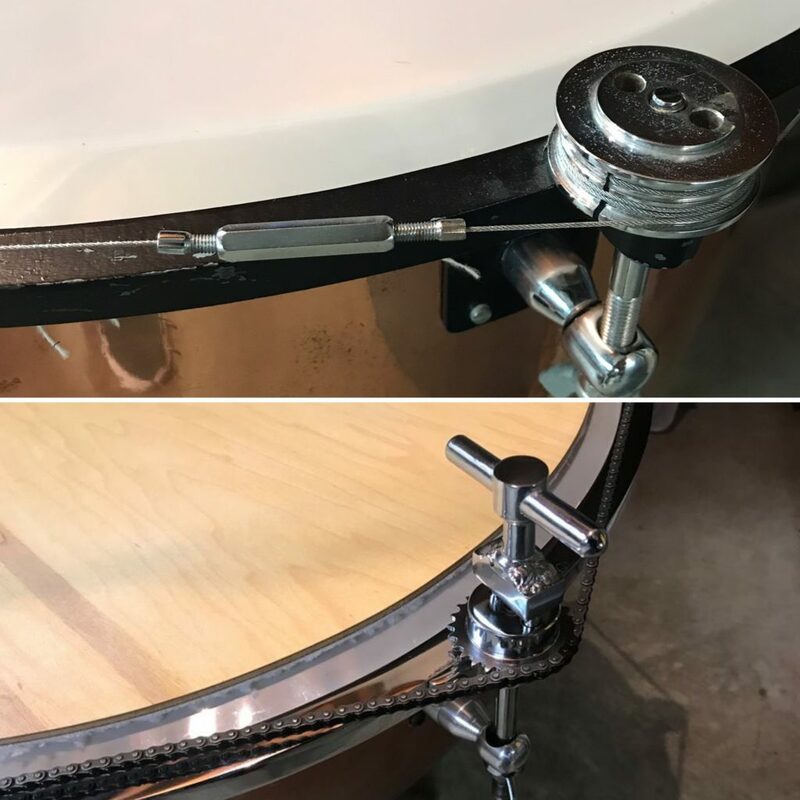 Mount chain drive using existing brackets to eliminate cable breaking, stretching, and general issues. 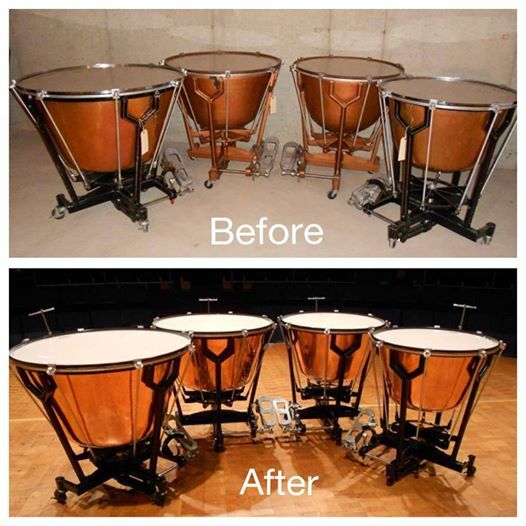 One of the best perks being that this conversion can be very cost effective. 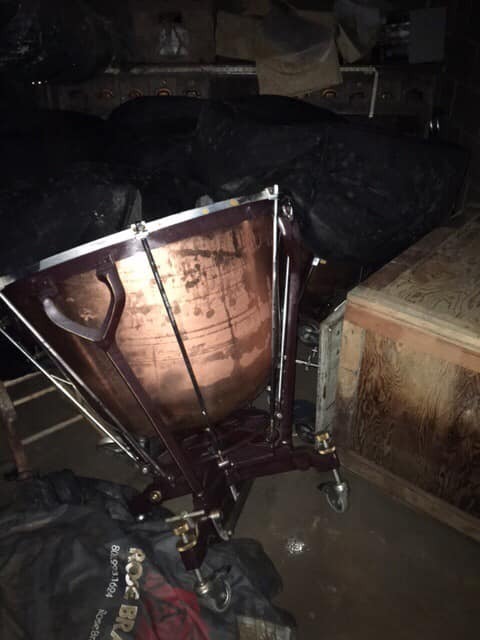 Remember when Hurricane Harvey hit Houston? 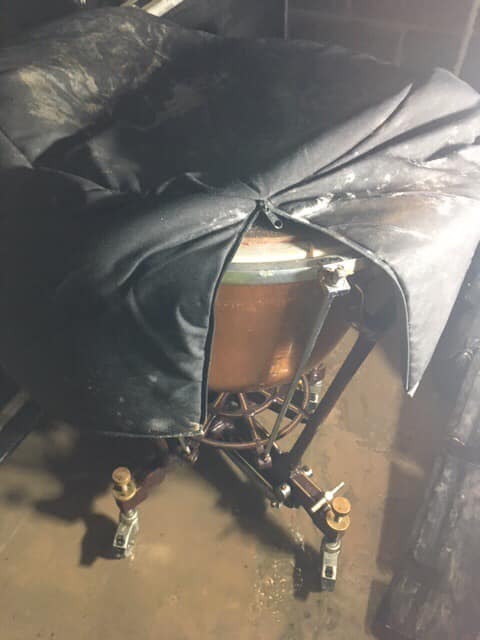 Houston Grand Opera’s Walter Lights were submerged below the water line for weeks. 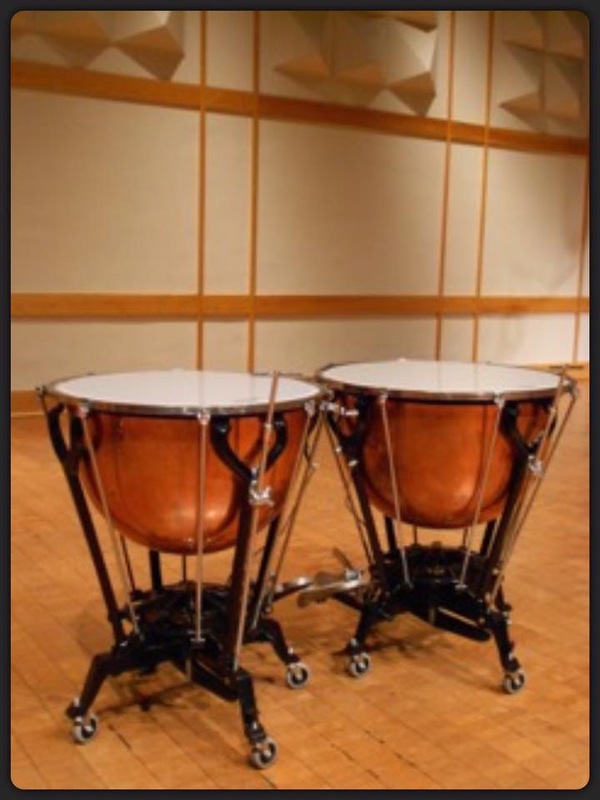 PCT got them patched right back up and into the hall.